Crabs are often associated with lobsters and shrimps. They belong to the order Decapoda of the class Crustacea. Crabs have over hundreds of known species found all over the world. These crustaceans are ten leg creature out of which the first pair makes up the claws, however, there are few species of crabs which have only one claw. Following are given some of the different types of crabs found in the Atlantic and Pacific Oceans. 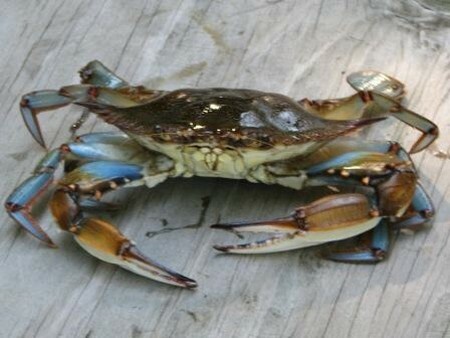 Blue crab makes one of the biggest crabs’ populations on the Atlantic coast of United States. It can be seen all along the coast from Maine to Maryland until the Gulf of Mexico. Majority of the cans containing the crab meat comprise of blue crabs. Maryland, Virginia and the Chesapeake are known for the blue crabs. The introduction of the blue crabs in the European and Japanese waters is purely accidental. Jonah crabs and rock crabs are also found in the Atlantic Ocean. There was a time when these species were taken as pests and were thrown back into the water. However, with an increase demand for the crabs in recent few years raise the worth of these species as they are now widely found in the restaurants and supermarkets. Same thing happened with the Pollock fish which were once disregarded but now majority of the fish found in the markets are Pollock and/or Haddock. 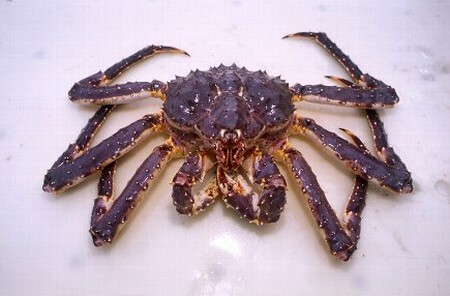 The next in the list is the Norwegian crab that is considered as one of the biggest species of crabs. The other names given to this species are Norwegian Red Crab and Norwegian King Crab. You will be surprised to know that these crabs can grow up to the size of five feet with a weight around twenty-two pounds. It was in 1960 when the Alaskan King Crabs were thrown into the Barents Sea by Russians which gave us this Norwegian crab species. As there are no enemies for these crabs in those waters, they keep on building their population in the Norwegian waters. In the waters of U.S. Pacific Ocean we can find three major types of crabs which are the Alaskan king crab, the Dungeness crab and the Snow crab. Among the three types the Alaskan king crab is known to be the popular crab with relatively high prices. Alaskan crab is more a crustacean rather than a true crab. It belongs to the family Lithodidae which comprises of forty species. While the king crabs were rare, Russia became the major provider of king crabs to the United States. The Dungeness crabs got their name from the Dungeness, Washington. It is available from Alaska to California. These are also popular among the local population because of its taste that is similar to Maine lobster, according to the local people. They have sweet taste and have a soft, delicate meat. It is also available in affordable price so you can find it easily on the hotel or restaurant’s menus. If we talk about the crabs found in the rest of the world, there are varieties of different species of crabs available. 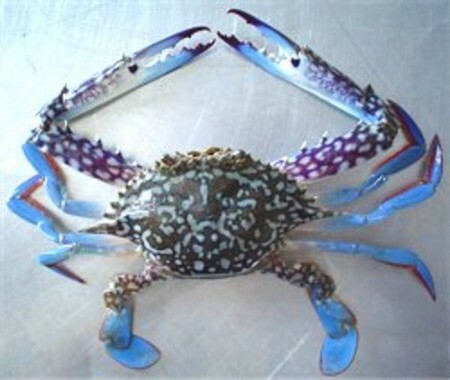 For instance, the blue swimmer or blue manna crab akin to the blue crab found along the Eastern Atlantic Coast of United States, are common in Asia. It is given the name of flower crab in Eastern Asia and sand crab in Australia. Blue swimmer occupies a wide range of areas such as Africa, Japan, Southeast Asia, Australia and New Zealand. In Japan, the variety of blue crab found is known as horse crab. Its common habitat is along the Chinese Coast. This blue crab is extensively found all across the Asia and considered as one of the most-fished crab all over the world. Mangrove crab is another type of crab that is commonly available in Asia, Africa, and Australia. The other names given to it include black crab and mud crab. It is always in demand because of its tasteful flavor. It has much pleasant taste than Japanese blue crab.